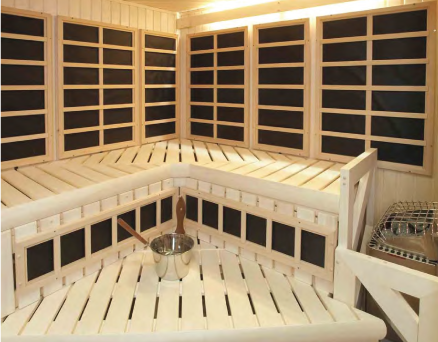 Sauna and Steam Center (a division of Florida Hot Tub & Sauna Center, Inc.) has been providing custom design sauna solutions for builders, contractors, and homeowners since 2004. Our unique understanding of our clients needs translated into a spectacular end product is our specialty. Our solutions take into account customers space, ADA compliance, electrical, how the sauna is to be used, and options availabe. In addition, Sauna and Steam Center will work with customers to provide them with advice and documentation to assist sub contractors in their tasks. We have expertly done this with many of the largest builders in the Florida by providing everything from on site visits to CAD drawings to orreintation and training meetings. Our customer list is extensive. From the Ritz Carltons to many towers lining the ocean front of Florida, to the smallest homeowner SSC awaits your call to help make your dreams a reality. Infrared therapy is prescribed by doctors for patients with health issues or to help with sleep, fitness (before and after your work out), to complexion and weight management, our infrared solutions are the best in the industry. 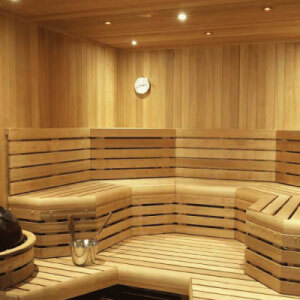 Similar to the process described with Custom Cut Wood saunas we can do the same with infrared. 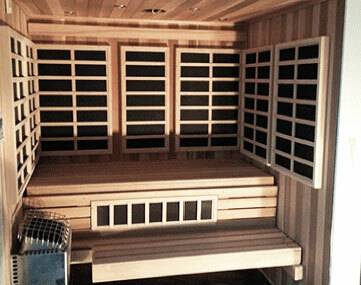 Infrared provides a different sauna experience that our knowledgeable staff can educate you on.